A Long Talk With the 2020 Candidate Putting Climate Change FirstThe Washington governor on nuclear power, constituent Howard Schultz, and the prospect of debating Trump. 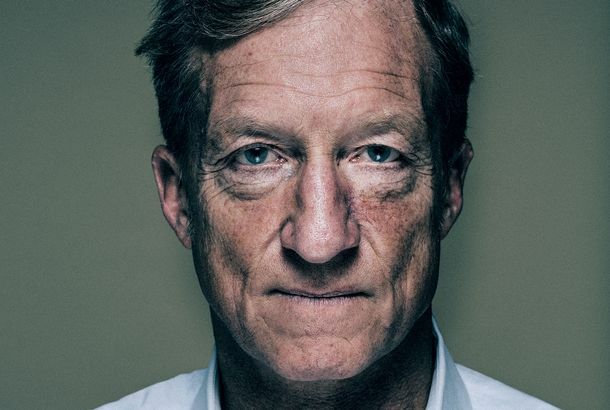 Tom Steyer Isn’t Ready to Give Up on ImpeachmentThe billionaire Democratic megadonor is still trying to win over whomever he can. A Long Talk With John HickenlooperThe former Colorado governor on marijuana legalization, getting vetted to be Hillary Clinton’s VP in 2016, and what he learned from Kurt Vonnegut. Bernie Sanders Is Hiring a Former Hillary Clinton Staffer As Research ChiefTyson Brody helped pull together Clinton’s opposition-research book on Sanders in 2016. Howard Schultz and His Team Think the Backlash Means They’re ‘Onto Something’Schultz has been ridiculed on the left, and his own polls show that he could help reelect Trump. But his team thinks he’s struck an important nerve. Why a Lot of 2020 Democrats Are Nervous About the Mueller ReportThe campaigns have no idea how to write post-Mueller playbooks. It’s slowing some of them down. 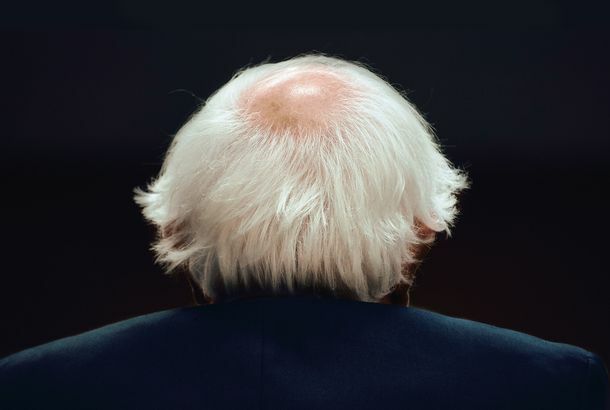 What Really Happened to Bernie Sanders’s CampaignThe sudden departure of a team of veteran consultants that were key in 2016 says a lot about Bernie’s new state of mind. A Long Talk With Pete ButtigiegThe Democratic 2020 hopeful on college contemporary Mark Zuckerberg, how sewers are like national security, and Ulysses. A Long Talk With Julián CastroThe former San Antonio mayor and Obama Cabinet member on why people care if he speaks Spanish and how Trump is like a fastball. Kamala Harris Embraces Populism — and Tries to Define What That Means in 2020At her campaign kickoff in Oakland, Harris quoted RFK and declared she’s “for the people” — a message touted by many fellow candidates. John Fetterman’s New FightPennsylvania’s new lieutenant governor wants to revitalize Trump Country… and the Democratic Party. 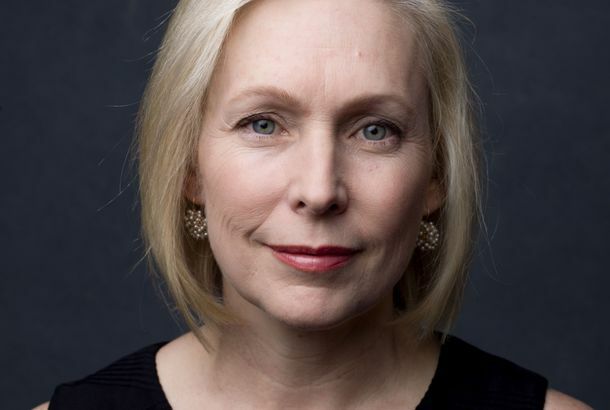 Democratic Ex-Presidents Expected to Sit Out 2020 PrimariesBut they are taking meetings … Also: Gillibrand talks to potential big-money donors and Beto gets signs from potential high-profile supporters. Kamala Harris Zeroes In on Baltimore for 2020 HeadquartersAccording to Democrats familiar with her thinking. Also: Thoughts from a Beto booster and a run by L.A. mayor Eric Garcetti looks less likely. Why Chris Christie Is a Cautionary Tale for 2020 HopefulsThere are lessons in his story for Beto O’Rourke, Joe Biden, Elizabeth Warren, and others considering a White House Run. 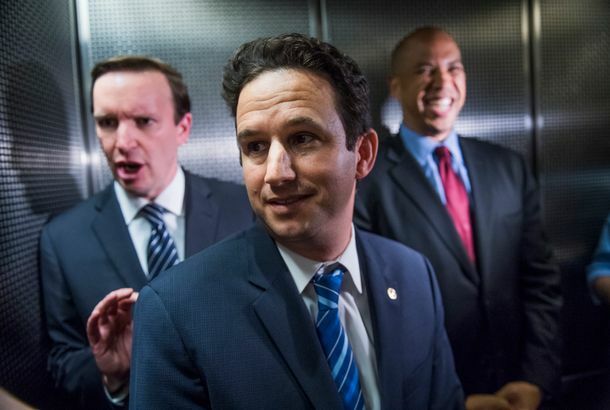 The Democratic Party Is Getting Ready for a Very Messy 2020 Primary RaceThe party is planning a dozen debates starting in June 2019 and taking lots of extra steps to avoid any appearance of bias. Why Joe Biden Turned Down $38 MillionHe’s not sure he wants to run for president. But he’s sure he wants to keep the door open. Sherrod Brown Has a Blueprint for America 2020Is looking this rumpled a path to the presidency? Inside Bernie Sanders’s Big DecisionThe discussion the most popular democratic socialist in America is having over his political future. How Early Voting Could Turn the Democratic 2020 Race on Its HeadWill campaigning in L.A., Austin, and Chicago now be just as important as in Des Moines and Concord? There’s a New Electoral Map in TownPost-midterms, Democrats are looking over the new contours of the presidential map as they figure out where to take on Trump in 2020. 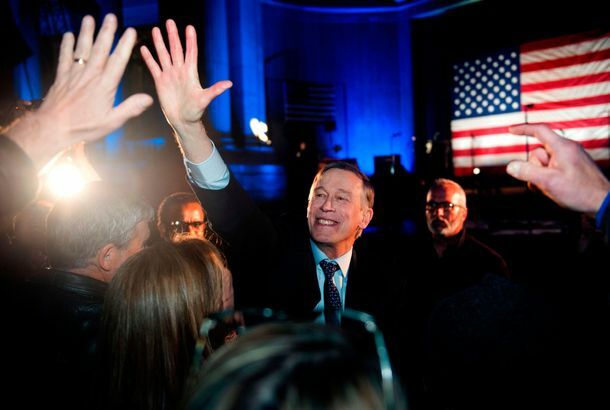 Decoding the Recent Travel Schedules of Democrats With Designs on 2020They aren’t in any tight races, but the Dems most likely to run for president have been campaigning everywhere from Manchester to San Diego. Scott Walker Is Trying to Dodge the Midwest’s Backlash Against TrumpFor the Wisconsin governor, the question of how to handle Trump is a tricky one. Andrew Gillum, Model CandidateThe Democrats’ gubernatorial nominee in Florida is a high-stakes bet on what the future of American politics looks like. Gavin Newsom Has More Important Things to Do Than Run for PresidentThe next governor of California is preparing to fight Trump and show off his state as a laboratory for progressive policies — including single-payer. Why Our History Is More Urgent Than EverJill Lepore, author of These Truths, on writing about American civics in the age of Trump and understanding our historical responsibilities. Another Problem for Trump: A 2020 Primary Challenge Is Growing More LikelyIn New Hampshire, there are increasing signs that a fellow Republican will take on the president. The Quiet Democratic Front-runner for Senate in Pro-Trump TennesseeDemocrat Phil Bredesen, a popular former governor, may win a Senate race in Tennessee by sticking to his wonky script — and dodging reporters. 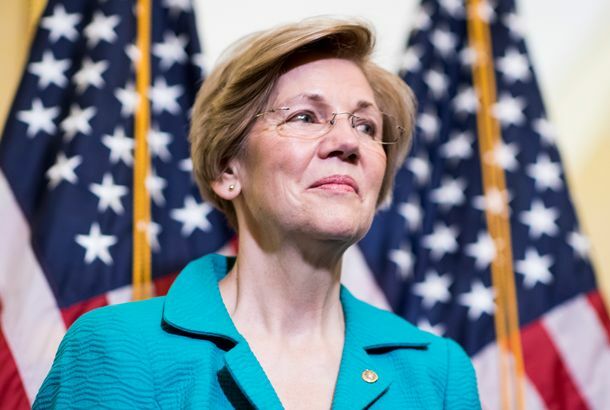 Elizabeth Warren’s 2020 Maneuvering Is Getting Even More AggressiveShe’s already laid serious groundwork to take on Trump, and recent moves could have her muscling further ahead of the other potential candidates. 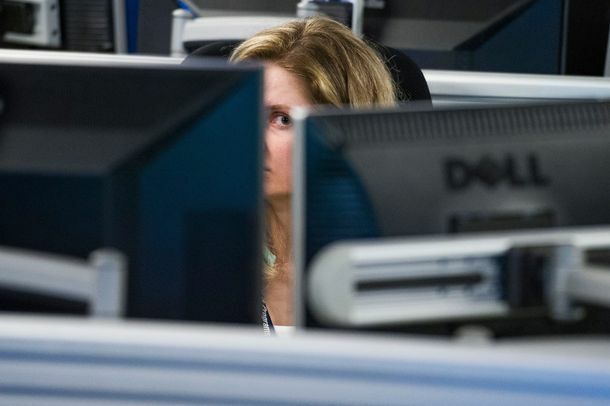 Inside the Midterm Campaigns’ Fight to Stop Cyber Attacks — Before It’s Too LateEven if campaigns internalize 2016’s lessons — and have yet to be targeted — it’s likely they’re still behind on preempting the next round of threats. Ayanna Pressley Wants to Shake the Democratic Party AgainOn the heels of Alexandria Ocasio-Cortez’s tectonic win, a Massachusetts primary tests the limits of insurgency. 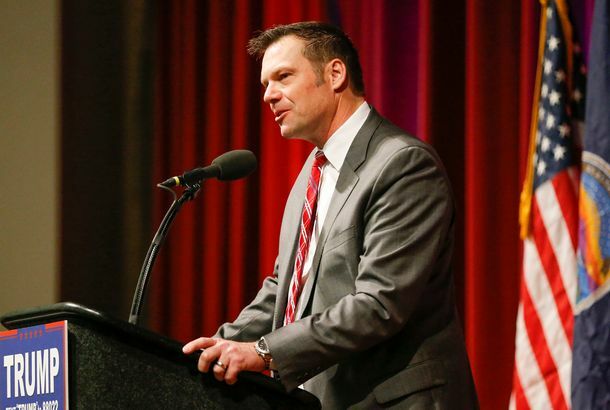 Don’t Look Now, But Trump Whisperer Kris Kobach May Become Governor of KansasThe anti–illegal immigration and voter-fraud crusader is just steps away from ousting the GOP incumbent and becoming an even more valuable Trump ally. This Might Be the Most Important Swing District in the CountryTrump and Pence have both visited Iowa’s First in recent days. The GOP is nervous about holding the district — and what it would mean if it can’t. Undaunted Democratic Centrists Ready to Fight Trump and Bernie at Same TimeThird Way has long promoted a Clinton-style liberal politics. They’re preparing for a two-flank battle in 2020 — now they just need a candidate. The Progressive Hawaii Senator Reshaping the 2020 Race, Without Even RunningBrian Schatz isn’t running for president — really — but his plan to yank Democratic colleagues to the left could define the party in 2020 and beyond. Democrats’ 2020 Hopefuls Refuse to Disagree (on the Midterms)With hundreds of races and candidates in play, Sanders, Warren, Biden, and the rest have not once taken different sides in a primary this year. How Should Democrats Tackle Trump in the Midterms? Focus on His NarcissismResearch on how to hone the Dems’ anti-Trump message found what resonates most is the idea that he puts himself ahead of what’s good for the country. 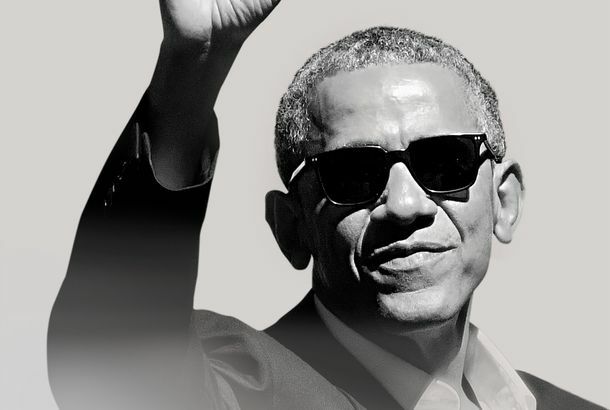 Barack Obama, Where Are You?The most popular American, whose legacy is the primary target of Donald Trump, has, for now, virtually disappeared from public life. How the Democrats’ Biggest Donor Is Playing Into Trump’s HandsParty leaders are worried that Tom Steyer’s impeachment obsession might cost them Congress. And Republicans seem happy to have the conversation. What Hurts a Political Opponent in the Age of Trump?In a news cycle jammed with scandals, party operatives are trying to figure out what sticks with voters anymore — and how to unearth those things. Is Pennsylvania Still Trump Country?Republicans are about to find out, in the form of highly #MAGA Senate candidate Lou Barletta. They aren’t hopeful. 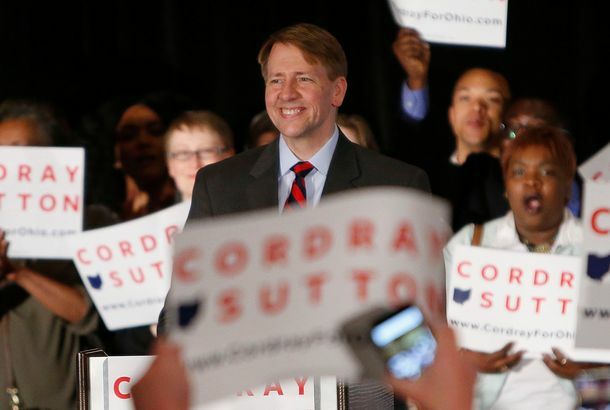 Richard Cordray Proves Voters Might Not Want a Showman, Even in the Age of TrumpThe Democrats’ nominee for Ohio governor is testing the theory that competence, not flash, is the key to winning in 2018 — and maybe 2020. The GOP Candidate Testing the Limits of TrumpismHow Don Blankenship, the ex-con West Virginia coal baron, has turned a personal rebranding project turned into a Senate run. Bernie Sanders Is Quietly Building a Digital Media EmpireHis live videos now regularly draw more viewers than CNN. So is this a 2020 strategy? It sure could be. After Ryan’s Exit, Big-Money Donors Turn to War for Senate“McConnell has said, ‘The House is lost, we have to hold the Senate,’” says a Republican operative.